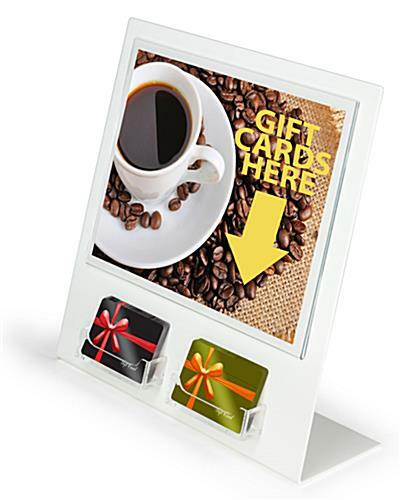 This gift card stand provides an easy way to sell to you customers. 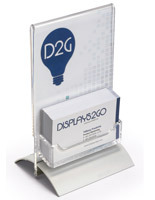 Place the countertop display near any checkout counter to push for those impulse buys. 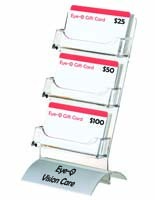 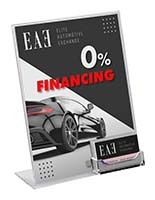 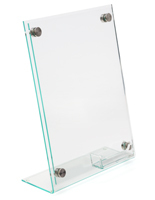 The gift card stand features a standard size sign holder at 8-1/2" x 11". 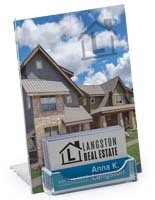 Simply insert your graphics into the top slot. 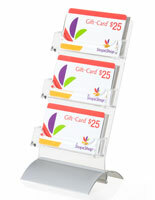 The pockets hold non-packaged gift cards.